I am delighted to finally reveal the BRFC DSA badge. It’s something myself and Clive have talked about since day 1. We wanted to have a badge that everyone can wear. 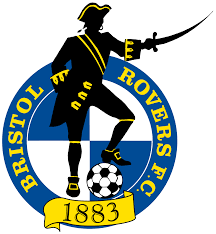 One that is very much Bristol Rovers but more importantly one that can help to raise awareness. We want this badge to promote the work the DSA are doing but we want it to be more than that. So many Gasheads have disabilities – visible and invisible. Some use wheelchairs. Some stand on the terraces. Often the disability isn’t easy to spot. I am frequently told that I don’t look ill or disabled even when I’m in my wheelchair. Believe me, no one chooses to use a wheelchair. No one chooses to have a disability. The DSA badge is there to represent everyone so whether you have a disability yourself, or know someone who has or if you just want to support the DSA we would love people to buy the badge and wear it. The badges are enamelled and finished with gold metal. They are 25mm so are a nice size – not too big but easily seen when worn. All DSA members will receive one badge free of charge. I will try and hand out as many badges as I can to members in person at homes games as postage isn’t cheap. If you want more badges for your friends and family you can buy them from me or Clive. The badges are £3 each. Both myself and Clive will sell the badges in person or if you wish you can email DSAbristolrovers@outlook.com to arrange purchase. On matchdays you can find me from around 1pm until 1.45pm in the supporters bar. Usually near the Supporters Club table. After that I am out and around the ground. I get to my seat in the South stand by 2.30pm. If you wish you can message me via our social media. We are hoping people like the badge.